The man in the photograph above is Pak Zung Adjang. He lived in the Dayak village of Long Setulang, Kalimantan, where he once served as the village Head of Culture (Kepala Adat). He died recently, aged 78. With him died a unique part of an important story that I would like to tell. The story of the past and the present of the island of Borneo and its indigenous peoples, told through the eyes of elders of the Oma’ Lung – a tribe of Kenyah Dayak now spread between five villages in North Kalimantan, one of which I am coming to know quite well. That village is Long Setulang. It is where I have been leading university field trips for the past few years, and a location that I hope to help the people of Long Setulang establish as a centre of research and education. I first learned of Long Setulang during The Journey Back, which was an expedition to a place called Long Sa’an deep in the mountainous interior of what is now North Kalimantan. Long Sa’an was the birthplace and ancestral home of Pak Phillius, and he and some of his friends had decided to go back for a visit. 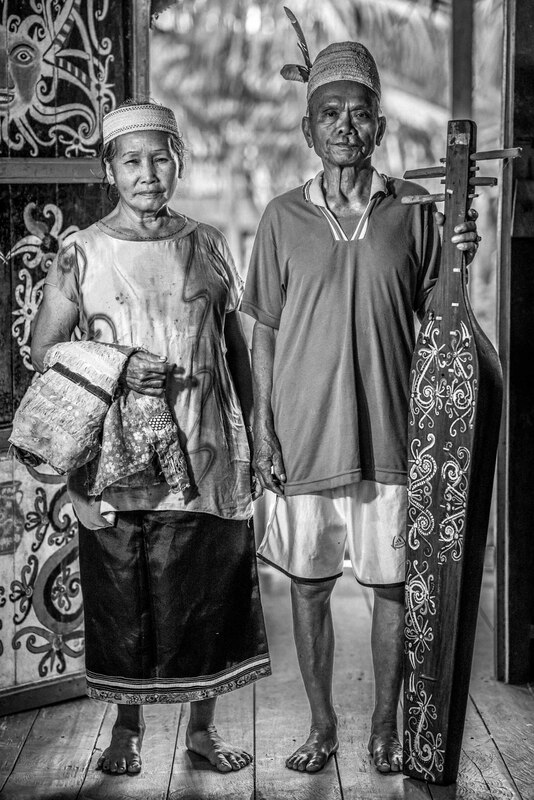 They had left the village as children with their families during three waves of migration in the 1970s and ’80s, walking for weeks through primary rainforest, crossing rivers, carrying all of their belongings and their elderly, to establish a new village closer to modern amenities and trade. I joined them on a pilgrimage back to that place along with others who were part of the journey. 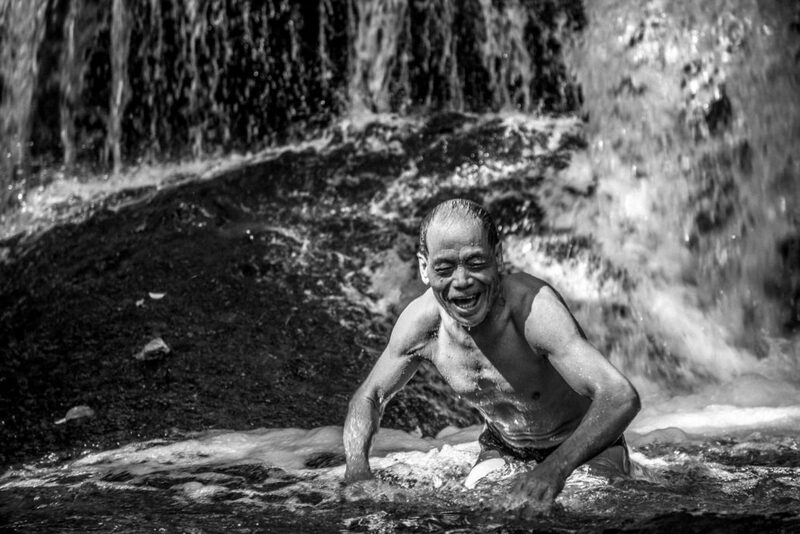 Pak Philius reliving his childhood in a small waterfall close to the remote village he grew up in. Long Sa’an is remote, even today. It takes 2 long days from the coast by what is effectively a specialised speedboat, navigating enormous rapids and piercing ever deeper into the still forested interior of the island. Back then, when the decision to move was taken, that journey would take weeks by men paddling a long canoe and portaging those same rapids, stopping to visit friends and family in villages along the way. Trading or getting modern medical help was difficult to say the least. Before they left, the people of Long Sa’an still wore bark clothes, had no electricity or outboard engines on their canoes, and would have relied almost entirely on the forest and the rivers for their food, water, health, entertainment, education and spiritual wellbeing. The forest was vast, endless. Occasionally the village would up-sticks and move to a new spot for a few years to allow the fields to lie fallow and the soil to replenish. Then they would return. Long Sa’an was their centre and the forest was their life, and that life, I imagine, was as simple as it was exciting, as fun as it was hard, and probably quite complete. Today that life is very different, and the last children born in Long Sa’an are now the elders of villages like Long Setulang. They have raised their children in a place still connected to the forest but separate, and undeniably, irreversibly plugged in to the rest of the modern world. They ride motorbikes and drive pickups and watch TV, work in mines and plantations and karaoke bars, they live in family homes instead of a traditional long house. All cultures change over time, but the speed of this change is incredible. 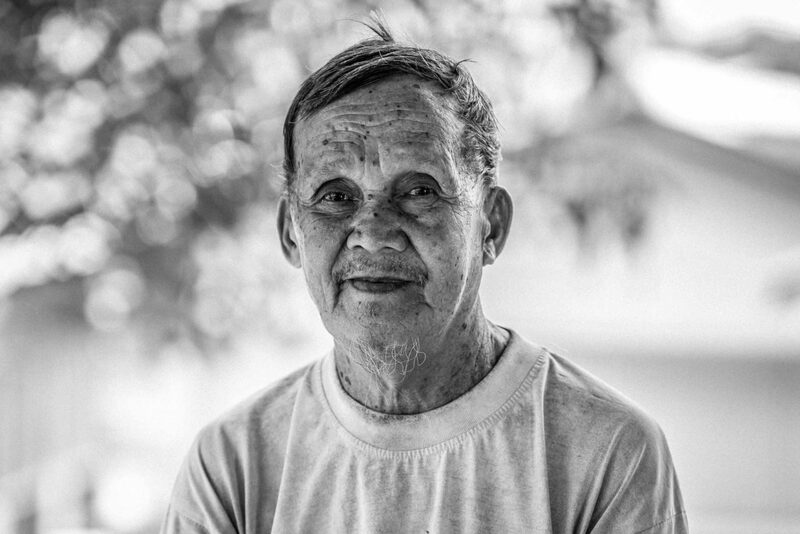 I learned of Pak Zung’s death, for example, thanks to Facebook, and I’ve no doubt the picture of him in this blog will end up being shown to his family and shared around the village on smart phones within hours of me pressing publish. A young boy goes spear fishing around the banks of the Setulang river, in the Tane’ Olen of Long Setulang. 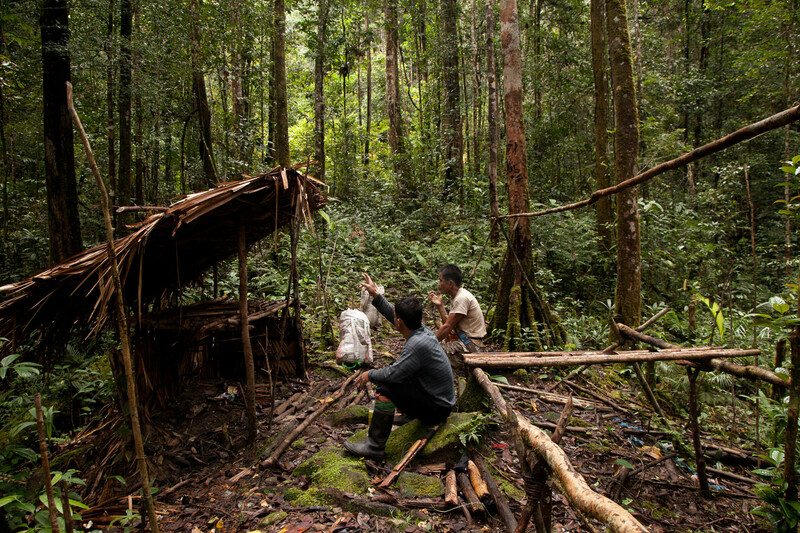 From their new home in Long Setulang, these modern Dayaks venture in to their forest, their Tane’ Olen, regularly, but do not exist within it. They are expert and passionate custodians of the forest, but are they no longer defined by it. While once it was endless, now it is contained, and they are tasked with either defending the forest allocated as ‘theirs’ (both physically against illegal logging and politically through new legal structures) or doomed to see it sold or stolen. They are straddling two incompatible worlds and trying to forge a new one. Once the elders are gone, as Pak Zung is now, there will be no one left to remember the old ways and their lessons. Only the stories will remain, remembered by people who never lived them. 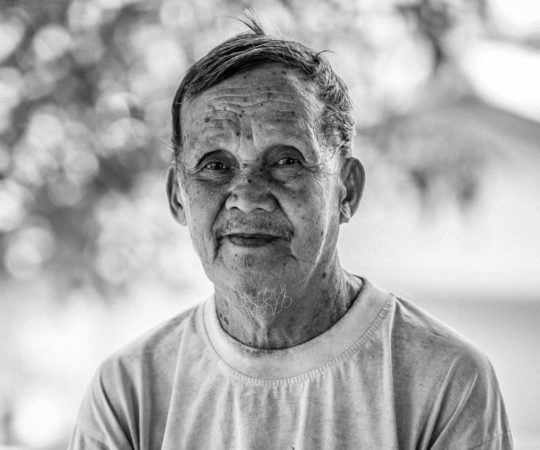 The stories of people like Pak Zung. How successful their new world is, the world of the children of Long Setulang, may well depend on those remembered stories. The Last Children of Long Sa’an is an ongoing project to record the stories of the people who lived the old ways. It is an audiovisual project, with portraits shot in digital but in black and white (a crude effort to reflect the two worlds), and audio recordings of whatever is important to the subject to talk about. I imagine a book, exhibitions, and some online presence for the finished product. I estimate there are around 400 people born in Long Sa’an who are still alive today, ranging in age from around 40 to 90 years old, and since I can only visit them for short periods each year the project will take some time to complete. 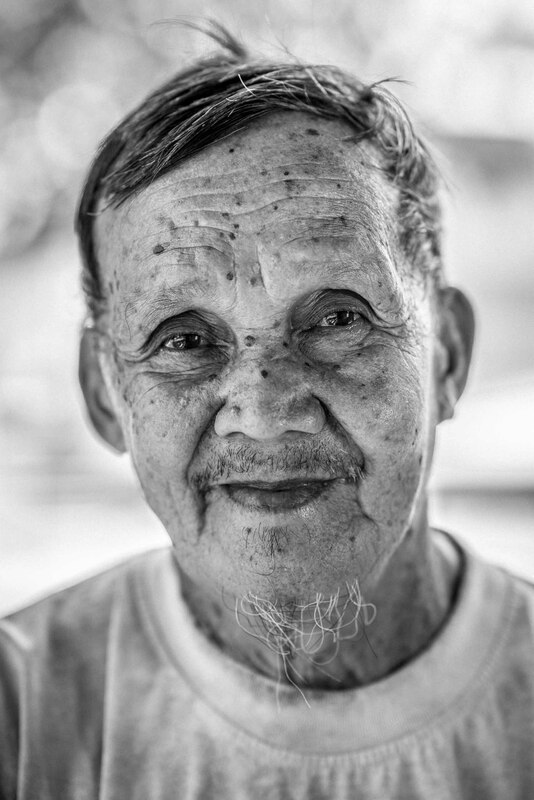 I did not know Pak Zung well, but he struck me as a kind and gentle human being, something which I think is captured in the few portraits he allowed me to take of him earlier this year. I am sure he will be sadly missed. I did not get the chance to interview him. Pak Zung Adjang, former Kepala Adat Long Setulang. Born in Long Sa’an. 1939-2017. All of the photos in this blog are early draft versions of the finished images.